Classic burgers, fancy burgers, fried cheese curds...oh, and free parking. Now available in the Central District. Photo via Feed Co.'s Facebook page. Scott Staples isn't a guy who defines himself via burgers, but over the years the restaurateur behind Quinn's, Uneeda Burger, and the late, wonderful Restaurant Zoe, has quietly become a baron of patties between buns. 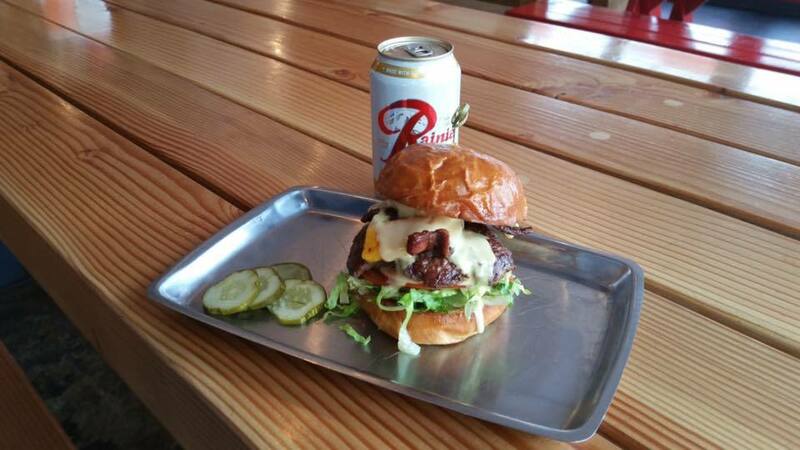 On Saturday, October 29, Staples will open a second location of his Feed Co. Burgers in the Central District. Like the Redmond original, the new Feed Co. at 24th and Union is counter service casual, family friendly, and done up in a sort of countryside grange motif. It sports a similar menu of creatively bedecked burgers plus classic version that's $5. Also, milkshakes and fried sides—cheese curds, sweet potato and regular fries, even a seasonal vegetable tempura. The restaurant's home in the Stencil building comes with a good-looking patio and Staples even secured a lease for the parking lot across the street. Yep, free parking. After suffering through construction-related parking limitations with his Capitol Hill restaurants, he's not messing around (enter the lot on 24th). While the Redmond location has bison, lamb, and buffalo burgers on its fixed menu, the Central District Feed Co. will do rotating specials with each meat, says Staples, and there will always be some sort of fish sandwich—salmon, tuna, maybe some sort of po'boy. Mention Feed Co. to someone who lives in Seattle and the first question is usually "how is it different than Uneeda burger?" And...it's not, really. The menus aren't the same, but the two are spiritually pretty similar. As Staples explained to Eater Seattle, Uneeda's garage theme is unique to its location in a former auto repair shop in Fremont, thus not a good candidate for multiple locations. 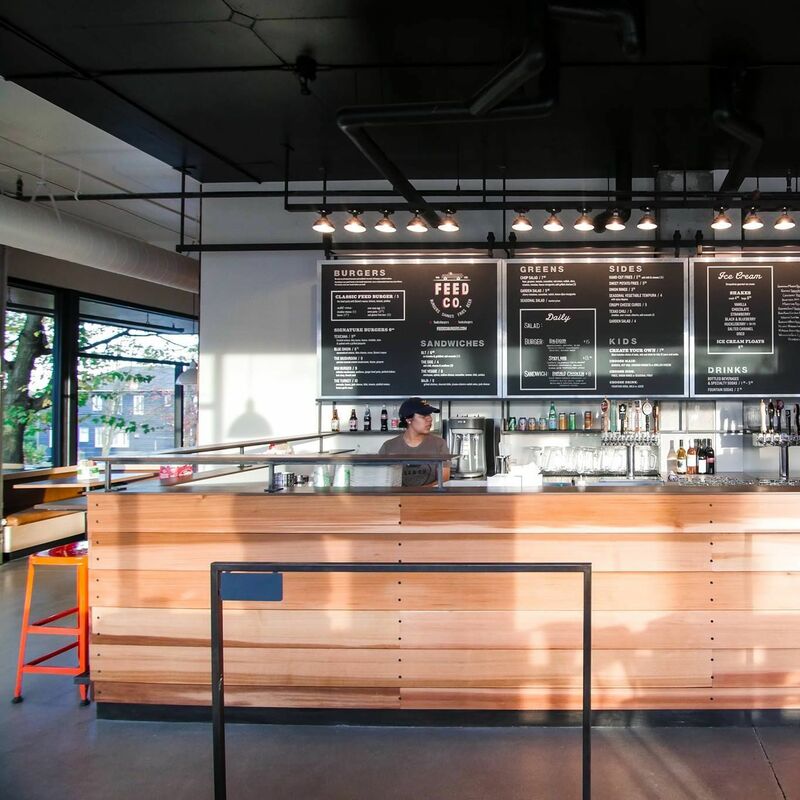 The menu at the Redmond location offers a hint of what's to come; the Feed Co. Facebook page has some photos from the Central District outpost.